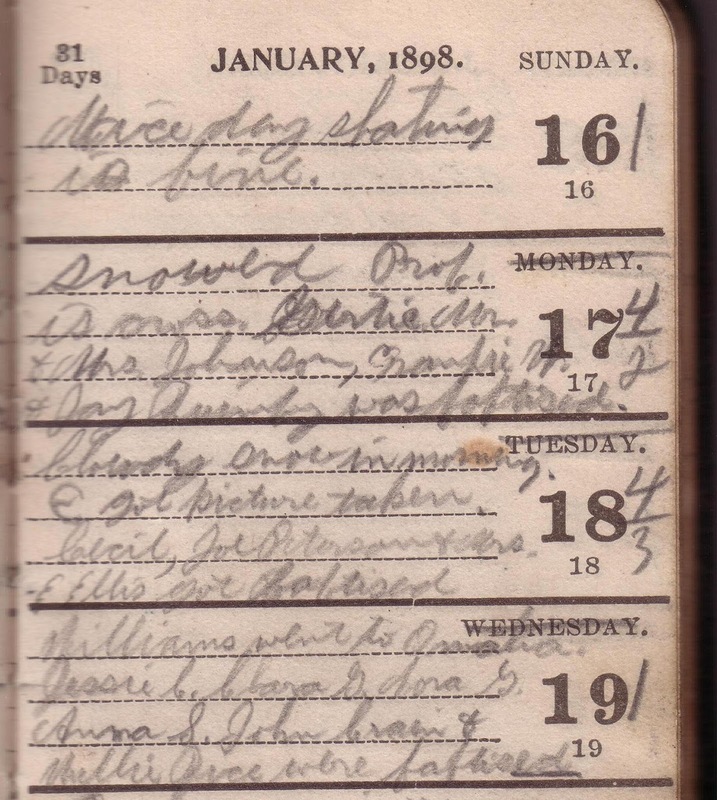 A short followup on Lennie's 1898 diary. All last year, while posting daily entries, I had only my transcribed copy. I could not find the original diary itself. The photos posted were from a separate little pocket sized book that Lennie used as a photo scrapbook. But I've found the actual diary! I thought perhaps I had given it to Lennie's great-granddaughter. But we found it in Hubby's desk. 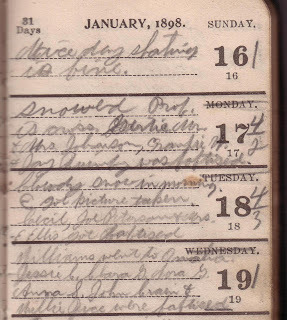 So today I am posting a couple photos of Lennie's diary in its original condition. As you can see Lennie's entries are scrawled in pencil. This page is readable...sorta. But some pages were difficult to read because the words were very faint. Note: You can click for a closer view. Neat. Only wish Lennie would have kept it up. Enjoyed the series, sorry to see it end, happy for this pics. I am so glad you found the diary, thank you for all the posts. Sorry that I haven't kept up a journal of my own over the years. Started a few times. there were recorded quotables from the kids but i probably won't even locate the books they were written in. Today I ordered a Large classic Plain Moleskine, was previously inspired by my son's own use of the "plain" sheet and with Lennie in mind thought maybe I would give it a try.